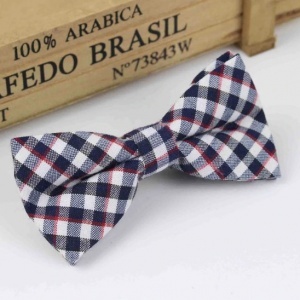 Boys navy check cotton bow tie with adjustable strap, perfect for all special occasions. This cotton dickie bow features shades of navy in a check pattern with a red stripe, adjustable strap and is pre-tied to guarantee a perfect knot. Top quality made with a polyester/cotton blend.